Code Review is a good thing. 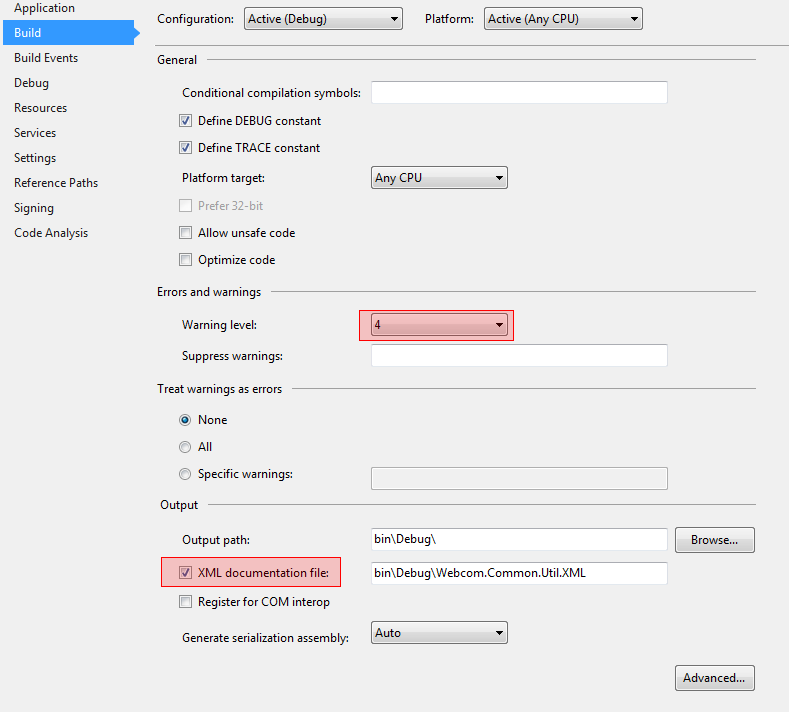 Below are detailed steps on how to configure these tools so they run on solution build. 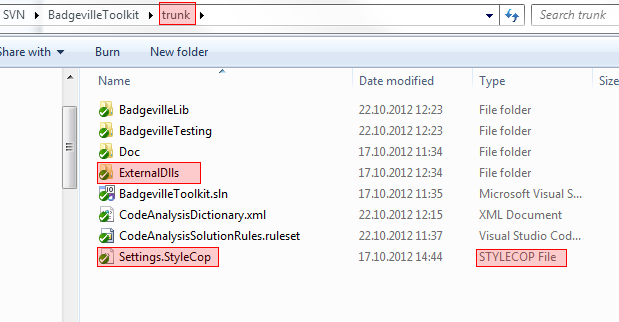 In order to define Style Cop for project first solution must have StyleCop rule settings and StyleCop executable files. 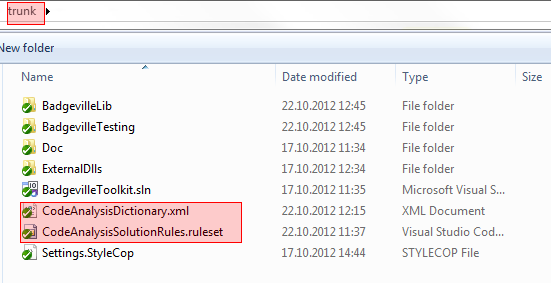 Add Code analysis rule set and dictionary to solution root. CA2204: Literals should be spelled correctly (Naming) – useful but it doesn’t work correctly. See more about Code Analysis Dictionary. 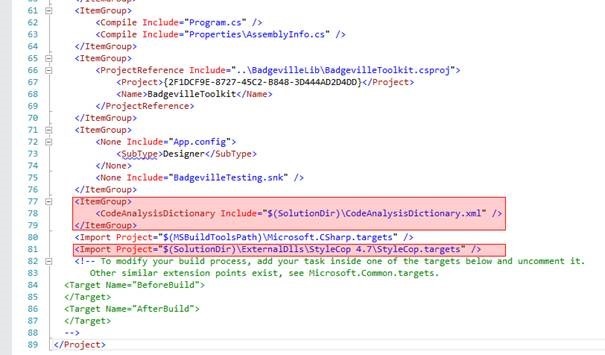 To integrate Code Analysis Dictionary and StyleCop in build, unload and edit project and add following tags. Note that paths might be different depending on Solution configuration. 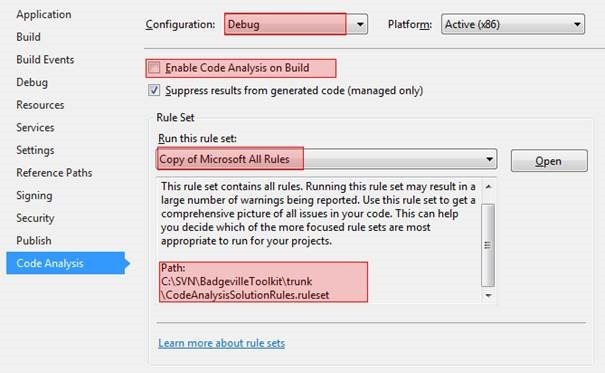 Configure compiler warning level on Project properties to 4 (most strict). Check XML documentation files (unless it’s a test project and not documentation is needed because tests are self-documented). 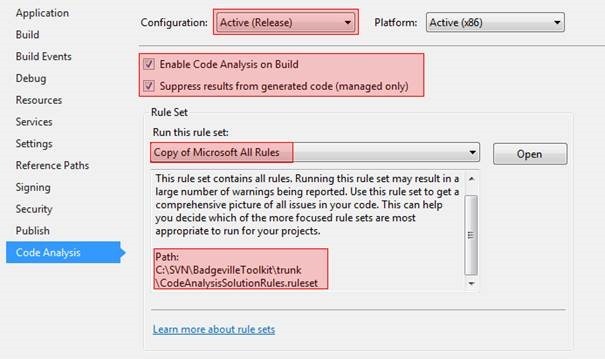 Configure project Debug configuration to use Code Analysis rules in Solution root. Do the same for the Release configuration. Only difference is that in debug mode Code Analysis should not be run because it slows down the build. We keep CA running in Release to get error report from continues integration and to allow easily turning CA on by altering solution mode from Debug to Release. I still havent figured out this one but I’m hoping WebEssentials with add possibility to easily run JSHint on build and configure which .js files not to scan. Why is your ASP.NET application running slow?